Last year, we featured the company's Pear coffee table, which we really loved. 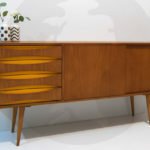 Checked back (albeit a little later than intended), we noticed other hip retro and midcentury-style design by Obi Furniture, all of which is available at the Not On The High Street website. Plenty to choose from too, from substantial furniture pieces through to coasters and chalkboards, all of which is handmade in their Somerset factory. We're concentrating on the bigger items though. 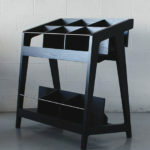 That includes the Space bedside table above, offered in various colours for the lacquered finish and selling for £280. 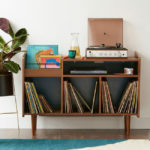 Below, you'll also see the Lunar bedside table (also £280), the Module bedside table (£280), the wonderful Surf coffee table (£580) and the Statement writing desk (£875). 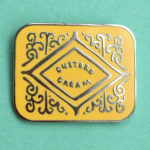 Find out about all of those and the other designs by the company at the website. A company to watch, that's for sure.